To be fully responsible for the layout, visual appearance and usability of customers’ websites, ensuring that brand continuity is maintained. – Perform Periodical follow up on his existing accounts status. – Communicate and negotatie for obtaining the client purchase order. - Develop and drive online assets marketing strategy, brand identity, messaging & value proposition. Develop communication strategies and campaigns for the online brands including the execution of awareness and demand generation campaigns. Opportunity analysis & assessment – market research, monitor social media trends, competitive analysis, strategic direction. Track and monitor site traffic and optimize campaigns based on the best-performing strategies. Business process definition – align internal and external stakeholders on new product releases. Pricing strategy and guidance for online advertisers. Voice of customers & stakeholders back to product future releases. Plan and monitor marketing budgets spending and provides status reports to management. Keep abreast with emerging trends in online marketing by attending seminars and lectures on the subject. -Qualifications • Strong communicator and leader – across functional teams, business groups, and company executives. • Self-starter – capability to build collaboration, identify and chart product/business strategies and manage business on his/her own. • Analytical & strategic – ability to drive analysis and draw strategic conclusions to prioritize and drive business focus. • Customer-focused Innovation – passion for customers and understanding their underlying needs; ability to create solutions that meet customer needs. • Bachelor degree in marketing or business administration is required and MBA is preferred. -Supervises accounting and financial reporting within an organization. Administer and monitor the financial system in order to ensure that the municipal finances are maintained in an accurate and timely manner. Assist with preparation of the budget. Ensure financial policies and procedures are followed. Establish and maintain cash controls. Monitor cash reserves and investments. Oversee the accounts payable and accounts receivable systems in order to ensure complete and accurate records of all moneys. Analyze operating unit financial results and obtain explanations for variances from plan. Assist with the preparation of the Board of Directors book and other periodic financial reports as directed. Support acquisition activities as required, as well as other special projects requested by the Director or executives of the company. Other duties as assigned. -Qualifications BSC degree in Accounting, finance or related field. •11 to 13 experience •Excellent written and spoken Arabic and English. •Good command of French Language is preferable •A CPA or advanced degree would be a plus. •Strong background in financial analysis, financial reporting, and budgeting. •Excellent Microsoft Excel and PowerPoint skills and Oracle application. To be fully responsible for study case and market studying ,prefer to have a wide background about e-marketing. -Responsible for working on the layout and design of all printed material produced by the publications department. – Assist in the layout and design of the Chambers monthly magazine Business Monthly. -Qualifications - Practical experience as a designer preferably within a corporate environment. -Knowledge of design techniques, tools and principles. – Good communication skills. Ability to work under pressure on a high volume of projects. language. – Excellent organizational skills, including the maintenance of digital and printed resource files. Strong knowledge of the prepress and production process. Other Skills -proficient in Quark Xpress and the Adobe Creative Suite programs (Photoshop, Illustrator, InDesign) and have previous relevant work experience. Knowledge of web applications while not required, is a plus. مطلوب مصمم يعمل في تصميم المجلات باستخدام ان ديزاين ..
- Help in developing business plans for existing and potential accounts in order to increase sales and the companys market share in designated markets. Provide continuous communication to the customers about their orders and other logistic issues. Facilitate, accelerate and co-ordinates with various factory units the processing of all customers needs to speed up the execution of these needs in order to be able to increase customers satisfaction. Measure and analyze major problems faced by various customers, and propose corrective actions for these problems to increase our customers satisfaction. Provide recommendations for improvements and lead specific projects that can be done specifically in the department or generally in the company in order to pursue excellence and innovation in various operations performed, in order to improve our service to our customers. Promote internally in the organization and externally to our customers the companys mission, vision, code of ethics and values to improve the value proposition offered to our internal and external customers. -Qualifications • Hold a B.Sc. Preferable in Foreign Trade, Commerce and Business administration. • 1- years of experience in Export Field. Other Skills • Ability to work independently or in teamwork. • Can work under pressure, Time Management skills. • Ability to Travel Abroad. - General secretarial and administrative support. General reception coverage Filing, faxing, binding and scanning. Preparation of meetings, conferences, reviews and workshops, including catering requirements Preparation of reports, presentations, procedures, spreadsheets and correspondence Receive and distribute all incoming mail including faxes. Handling travel & accommodation arrangements, taxi bookings for the traveling employees. Arrange appointments, prepare agenda and receive visitors. Handel Personnel Affairs in coordination with HR Dept. Perform translation work as required Be fully aware of and comply with all applicable company policies and procedures. Ordering stationary supplies, office supplies, kitchen supplies etc. Arrange symposium events & parties including catering. Organization of the messengers trips. مركز القاهرة لدراسات حقوق الإنسان هو منظمة غير حكومية إقليمية مستقلة تأسست عام 1993، تهدف إلى دعم احترام مبادئ حقوق الإنسان والديمقراطية، وتحليل صعوبات تطبيق القانون الدولي لحقوق الإنسان، ونشر ثقافة حقوق الإنسان في العالم العربي، وتعزيز الحوار بين الثقافات في إطار الاتفاقيات والمواثيق الدولية لحقوق الإنسان. 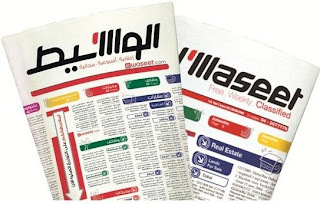 ومن أجل تحقيق هذه الأهداف يعمل المركز على اقتراح سياسات وتشريعات والدعوة إلى تعديلات دستورية تعزز من المعايير الدولية لحقوق الإنسان، والقيام بأنشطة بحثية، ودعوية عبر توظيف مختلف الآليات الوطنية والإقليمية والدولية، وتعليم حقوق الإنسان مع التركيز بشكل خاص على الشباب، وبناء القدرات المهنية للمدافعين عن حقوق الإنسان. ومنذ تأسيسه يقوم المركز بشكل منتظم بنشر كتب و دوريات تتناول قضايا حقوق الإنسان والديمقراطية في العالم العربي. يسعى مركز القاهرة إلى المساهمة في إلقاء الضوء على أبرز المشكلات والقضايا الحقوقية الملحة في الدول العربية، والتنسيق مع مختلف الأطراف المعنية والمنظمات غير الحكومية في المنطقة، والعمل سويًا من أجل رفع الوعي العام بهذه القضايا ومحاولة التوصل إلى حلول وبدائل تتوافق مع القانون الدولي لحقوق الإنسان. يتمتع المركز بوضع استشاري خاص في المجلس الاقتصادي والاجتماعي بالأمم المتحدة، و صفة المراقب في اللجنة الأفريقية لحقوق الإنسان والشعوب، المركز عضو في الشبكة الأوروبية المتوسطية لحقوق الإنسان، والشبكة الدولية لتبادل المعلومات حول حرية الرأي والتعبير )أيفكس( وحاصل على جائزة الجمهورية الفرنسية لحقوق الإنسان لعام 2007. · تحليل وتقييم التشريعات المصرية من ناحية اتساقها مع مبادئ القانون الدولي والوطني. · تقديم اقتراحات بتعديل قوانين لتتوافق مع مبادئ حقوق الإنسان العالمية. · عمل أبحاث قانونية مقارنة بين التشريعات الوطنية وتشريعات بدول أخرى فيما يتعلق بالحقوق والحريات. · كتابة المذكرات والعرائض القانونية في القضايا المتعلقة بحقوق الإنسان. · حضور تحقيقات وجلسات عن النشطاء الماثلين في قضايا الرأي أو حرية التنظيم، امام جهات القضاء العادي أو الإداري أو العسكري. · تقديم دراسات واقتراح مطبوعات في مجال الإصلاح التشريعي. · درجة الإجازة في القانون (يفضل الحاصلون على دراسات عليا في القانون) . 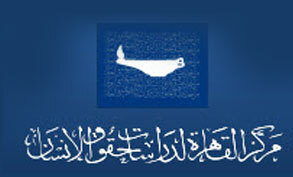 · خبرة بالأعمال القانونية (البحث القانوني والمحاماة). · أن يكون مقيداً بنقابة المحامين المصرية بدرجة قيد إستئناف. · الإلمام الجيد بقواعد القانون الدولي والآليات الدولية والإقليمية لحقوق الإنسان. · يفضل ذوى الخبرة في مجال القانون العام (إداري – دستوري – جنائي). · يفضل الإلمام المعقول باللغة الإنجليزية قراءة وكتابة وتحدث. · القدرة على استخدام الكمبيوتر كتابة، والبحث على الإنترنت. · القدرة على العمل تحت ضغط وإدارة الوقت والجهد والعمل لفترات عمل متأخرة في بعض الأحيان. · سيرة ذاتية مرفق بها رسالة تعريفية مختصرة بشخص المتقدم/ة. · نماذج لمذكرات أو أبحاث قانونية كتبها المتقدم/ة. · مركز القاهرة لدراسات حقوق الإنسان يؤمن بمبدأ المساواة وتكافؤ الفرص بين جميع المتقدمين للوظيفة، لذا نرجوكم عند إرسال السيرة الذاتية عدم الإشارة إلى (الدين – الحالة الإجتماعية – السن – المنشأ) وتقدم السيرة الذاتية بدون صورة للمتقدم/ة. · ترسل جميع الطلبات إلي البريد الإليكتروني: info@cihrs.org بموعد أقصاه 28 أغسطس 2011.